Although Mulkear Life have claimed to have designed a pass suitable for lampreys on the River Mulkear, they have not produced any conclusive scientific evidence that this pass provides any significant benefit to lampreys. It is clear that under certain flow conditions that a few adult sea lampreys did make their way up this pass by applying lateral force to the pegs on their slope perhaps; however under most flow conditions sea lampreys are unlikely to be able to ascend this pass. It is clear that river lamprey and brook lampreys would be totally unable to use this ramp. The only scientific evidence that Mulkear LIFE have produced in relation to the efficacy of this pass is a video of sea lampreys clinging to the lower end of this pass, and one or two passing over during low flows. They also use as evidence observations of sea lampreys spawning in areas of the catchment upstream of where their pass is. However, there were always some sea lampreys getting past Annacotty weir and previous surveys have found sea lamprey ammocoetes upstream from here that were recruited prior to the installation of their lamprey pass/ramp. Most of the evidence they have for upstream spawning is observations of redds, and it is clear that the counting of redds like this is subject to significant error. Their visual observations of lampreys and redds is not sufficient evidence; there would need to be detailed analyses presented showing how lampreys behaved at the passes under different flow regimes and the mechanism of how lampreys use these passes would need to be examined. We agree that some sea lampreys get over these ramps at certain flows, but what are those flows and how effective overall are these passes. These questions need to be answered, before these passes are promoted as being a success. They are certainly of no use to brook lampreys and river lampreys. We believe that across most of the hydro-graph they are also useless to sea lampreys. This is one of the ramps which Mulkear LIFE claim to allow passage of lampreys. This one was abandoned at Ballyclough Weir after the more or less ad hoc removal of their weir. Anyone could have taken this away from here until we highlighted its presence in an earlier post. There is also a denil pass at this weir, and it is clear that some sea lampreys pass through here also. Therefore undertaking a radio tagging experiment before this pass was put in and showing that the vast majority of lampreys could not pass this obstacle, and then producing maps showing sea lampreys spawning in areas upstream of here (based mainly on redd counts which are subject to error) after the pass was put in in (as Mulkear LIFE did) does not amount to conclusive scientific evidence. We also do not think that Mulkear LIFE should have caused so much disturbance to sea lampreys on their spawning grounds – catching them and putting radio tags on them to prove the obvious. Mulkear LIFE’s sensationalist claims that this pass is an effective solution for sea lamprey passage, in the absence of proper scientific evidence, is dangerous as it could result in these unproven passes being installed elsewhere for lampreys. For example a recent report in the UK suggested that such a pass design could be used. Inland Fisheries Ireland have also recommended this design of lamprey pass for other sites in consultation letters to developers which we have had sight of. The fact that under certain flow conditions that some sea lampreys can get through Mulkear LIFE’s pass is just not good enough, and there is inadequate scientific evidence available to recommend these passes for other sites. Under higher flows the sea lampreys are attracted to the base of these ramps, but clearly will not be able to ascend. This exposes them to the potential risk of increased predation. It is also clear, that river lampreys and brook lampreys could not use this type of pass, so this approach is in no way satisfactory for use as a lamprey pass. It noted that this is not our only criticism of Mulkear LIFE. See this other article ‘Mulkear LIFE are in breach of the requirements of the Habitats Directive‘. Mulkear Life should not have been given an environmental award by the Chartered Institution of Water and Environmental Management (CIWEM) in our opinion, as they are in no way close to being an organisation which follows best practice. We believe that they have caused significant damage to sea lamprey populations on the River Mulkear due to undertaking a “month of major instream works” at the peak of the lamprey spawning season in a lamprey SAC last summer. 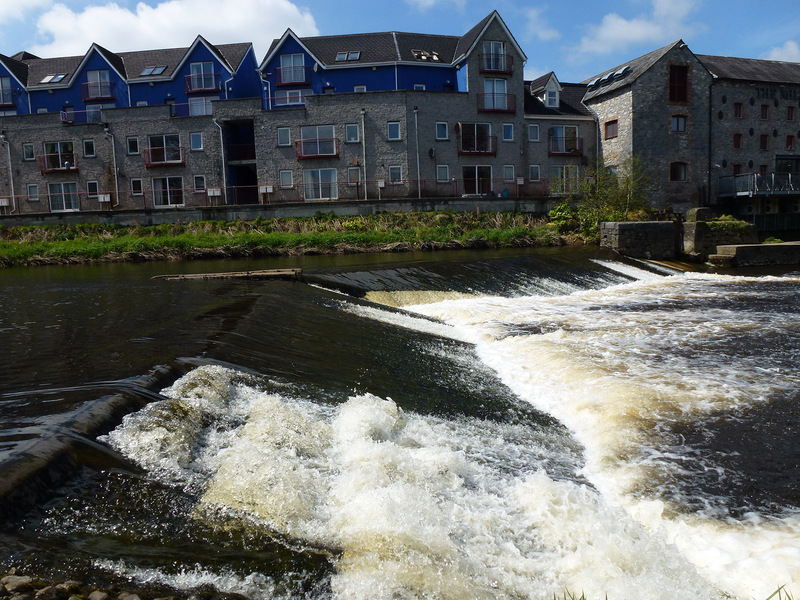 There will be long-term benefits due to the removal of Ballyclough weir, but the significant water quality impacts that occurred during the sea lamprey spawning season of 2013 could have been avoided. Just because Mulkear LIFE could claim that they are the ‘project/plan’, does mean that they are allowed to cause significant and avoidable impacts to an endangered species in an SAC. 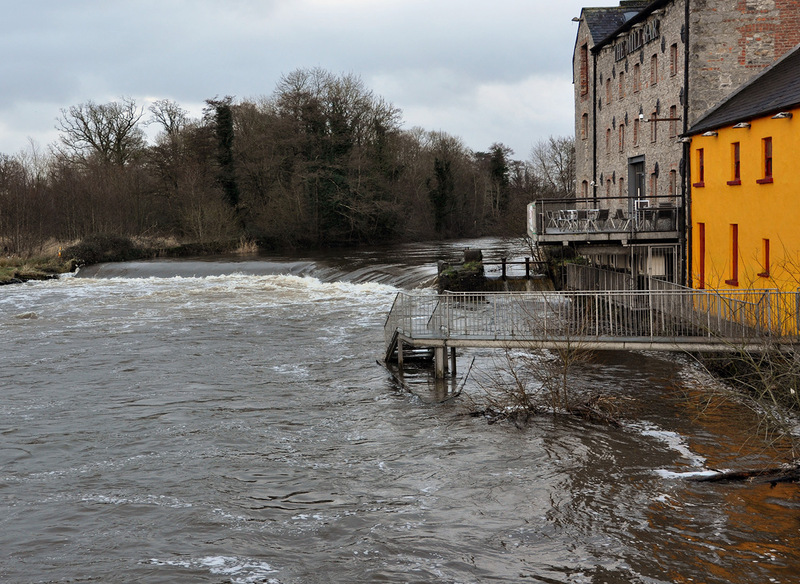 Their Screening for Appropriate Assessment report entitled “Upgrade of Ballyclogh Weir on the Mulkear River – Appropriate Assessment Screening Report Assessment of Potential Impacts“ did not follow the NPWS Guidelines for Appropriate Assessment for Ireland. As well as not following these guidelines, there were a large number of errors and apparently deliberately misleading statements in their Screening Report which were, in our opinion, used to avoid the requirement of having to prepare a full Appropriate Assessment. This approach, and their promotion of a lamprey pass that has not been proven to be of significant benefit, is hardly deserving of an environmental award. It is also noted that Inland Fisheries Ireland’s crump weir fish counter located just upstream from here is a barrier to river and brook lampreys. The Lower Shannon SAC is also designated for these species, what about them? This is the second barrier upstream on the Mulkear that needs to be addressed. Sea lampreys probably have problems here also, and that’s before we get to the ‘critically’ endangered European eel. IFI have never published any salmon counts from this site. We suspect that this does not even work as a salmon counter. 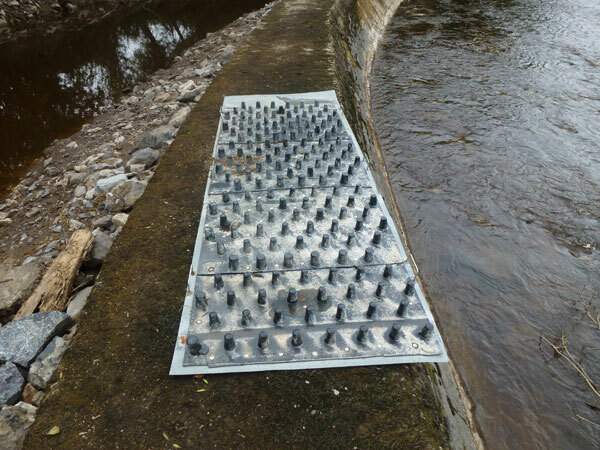 Inland Fisheries Ireland are now recommending ‘total fish passes’ for every private development that they are consulted on; even at locations where it is clear that a technical fishway may be more appropriate. Why was a total fish pass like a rock ramp not installed here at Annacotty? Dace are now established throughout the Mulkear River according to the Limerick and District Anglers Association, and this was always inevitable. If I am proven wrong on this I will put my hands up and apologise. However, I am a lamprey expert, live within 2 km of here, and in my informed opinion this pass does not offer any significant benefits to lampreys. If you could control the flow to these ramps I could see that maybe they would work for sea lampreys to some degree; but this is a spate river with no control of water and there are two other lampreys species here that also need to be looked after. A negative result is also important to science, and I believe that these ramps should be studied further to increase our knowledge of the passage ability of lampreys, and their behaviour on ramps like this. However, as with undertaking major instream works at the peak of the sea lamprey season, things are just not being done as they should be at present on the River Mulkear.